Agreement Ends All Pending and Future Litigation, Provides Clear Path for Long-Term Viable Health Care for the Community, SUNY to Exit Operations by May 2014. Albany, NY - February 20, 2014 - Governor Andrew M. Cuomo, SUNY Chairman H. Carl McCall, and Mayor Bill de Blasio today announced a settlement agreement with the parties involved in the Long Island College Hospital litigation that ends all pending and future litigation and allows SUNY to exit operations of the facility no later than May 2014 without interference, while providing an agreed upon process to deliver a viable long-term health care solution for the community. The win-win agreement resolves all outstanding issues regarding the selection process for a new provider for health care services in the LICH community. The community and elected officials have agreed to participate under an expedited RFP submission process, followed by a seven day selection period. The agreement requires court approval. "For months we were told the free-fall closure of Long Island College was inevitable. We fought back. We went to court to keep the padlocks off the doors. We fought shoulder to shoulder with this community and used all the tools of City government to press for a better outcome. And now, we have a resolution that finally puts people's health first," said New York City Mayor Bill de Blasio. "This agreement represents the culmination of all the tremendous work by nurses and doctors, neighborhood associations, patients and elected officials who refused to back down. This is an outcome that we couldn't have achieved without the commitment of Governor Cuomo and SUNY, and I thank them for helping achieve this resolution. Protecting continuity of care and ensuring the healthcare needs of this community are met will now be the yardstick by which proposals for the future of LICH are measured. There is more work ahead, but we are closer than ever to the long-term, sustainable solution all of us have sought." With unsustainable losses of $13 million a month, liabilities in excess of half a billion dollars, and endless and costly litigation, SUNY determined that this agreement was the only course to protect students and SUNY campuses across the State of New York from continued exposure to the mounting fiscal crisis at LICH. SUNY has fought from the beginning to preserve health care services in the community and this agreement achieves that goal with the full support of all stakeholders. SUNY has received strong proposals in the previous solicitation that have the broad support from elected officials and many community and religious groups. SUNY thanks all of these individuals and the groups they represent for their support and urges them to continue to take part in this process. Previous qualified bidders are also strongly encouraged to resubmit their proposals. 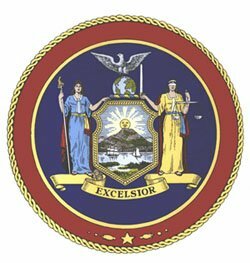 Subject: LongIsland.com - Your Name sent you Article details of "Governor Cuomo, SUNY Chairman Carl Mccall, and Mayor Bill De Blasio Announce Lich Settlement Agreement"